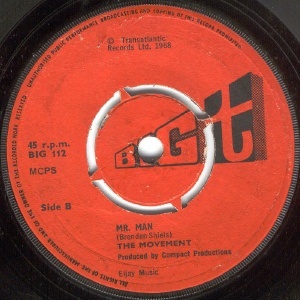 1967-68 Dublin beat group responsible for two extremely rare 45s which are highly prized by collectors. 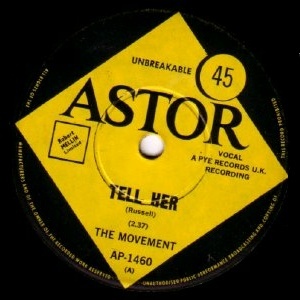 The A-side of their debut single is a devastating cover of the soul classic originally recorded by The Exciters "Tell Him" (as "Tell Her") done in true rave up fashion. The energy of the band is incredible, the rhythm guitar attack is razor sharp, and Dave Kearney's lead guitar break is simply amazing. Such is it's quality in fact that it was often rumoured to be Jimmy Page (just like every other 60s single with notable lead guitar action) but this is definitely not the case. 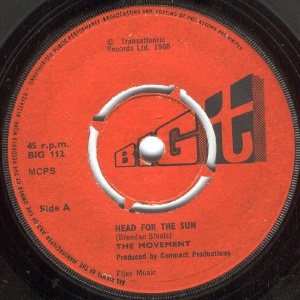 The single was recorded at Eamonn Andrews Studios in Henry St in Dublin (where Jimmy Page never recorded, incidentally) and the whole session reputedly took less than 90 minutes. 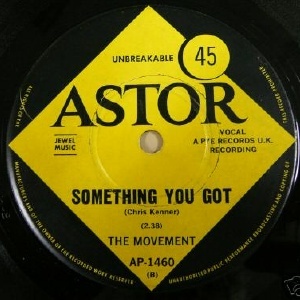 It was issued on Target in Ireland, Pye in the UK and Astor in Australia. Plans to issue it on Chess in the USA fell through. 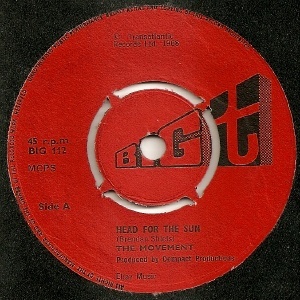 The Movement moved to Transatlantic's singles label Big T for their second single. Both sides were written by Brush Shiels of Skid Row. In fact, they are his first ever songs to make it to vinyl. The A-side is a dense mix of driving beat and strong fuzz guitar and feedback but this is interrupted by a couple of jarring piano breaks. 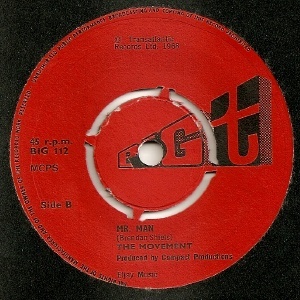 This was a really bad arrangement decision, as the single had all the makings of a heavy psych classic! Its still well worth tracking down for the superb fuzz guitar. 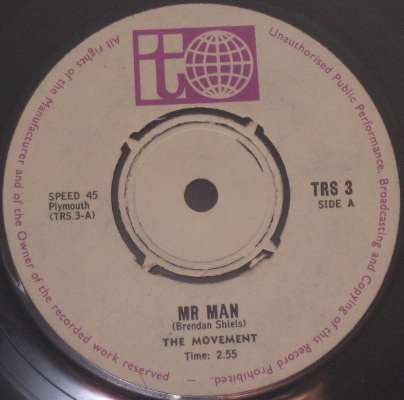 The vocals on this single sound different to the debut and it may be that John Farrell had been replaced by the time it was recorded. This new singer may be Eddie Creighton, but this is unconfirmed. Scott Mulvey joined the band at some point too before joining The Gentry.. There were no more recordings. John Farrell was lured away by the promise of stardom in June 1968 and the band split, with members going on to other projects. 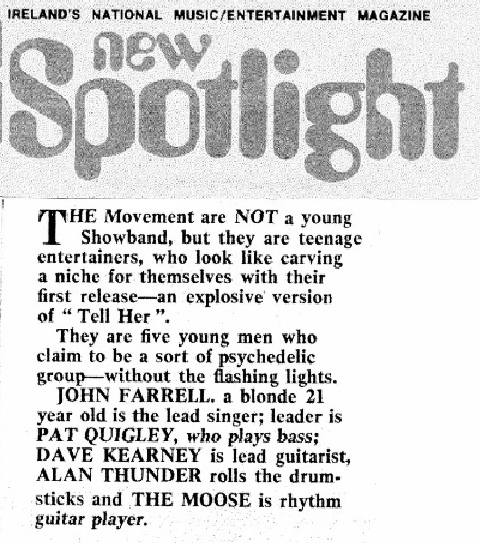 John Farrell became frontman of The Dreams who straddled the beat/showband divide, while Dave Kearney ended up in The Smokey Mountain Ramblers. Pat Quigley formed Macbeth and was later in Orphanage with Phil Lynott. 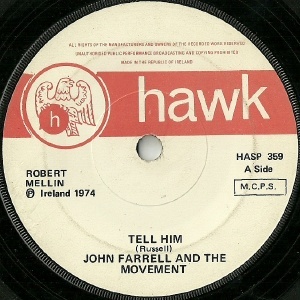 John Farrell financed the re-release of the Movement's single on Hawk Records in 1974, credited to John Farrell & The Movement. Alan Thunder passed away in 2010. 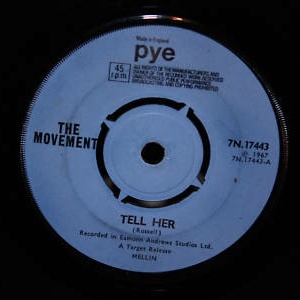 7" - Pye Records - 7N 17443 - UK - 1968 - no PS, blue label, A-side titled "Tell Him"
Recorded at Eamonn Andrews Studios, Henry St, Dublin. Both sides by Brendan Shiels. Notes: The South African pressing is a real oddity. 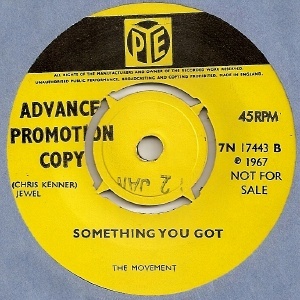 Transatlantic Records has a strict policy of not releasing records in South Africa due to apartheid, so how this single came to be released there is a mystery, especially given it's complete failure as a hit single (though DJ Kenny Everett played it). 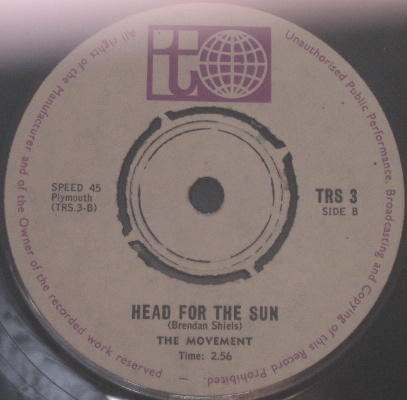 Note the sides were reverved for S.A. release. If anyone out there knows anymore about this, please get in touch. Thanks to Tim Barnes for the scans. Also comped on Purple Pill Eaters (Paranoid PARA CD 003 - UK - 1998) and Freakbeat Freakout (Sequel Records - NEMCD 952 - UK - 1997).